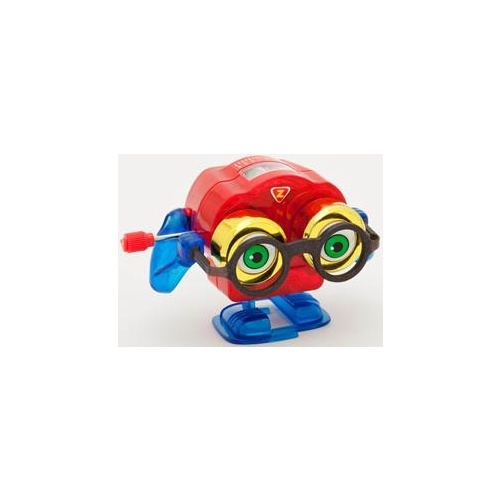 Z Wind Ups - Peepers the Binoculars | Collect Them All! 7.5cm wide and so much fun, Peepers the Binoculars Z Wind Up is the perfect little gift for any wannabe-spy around. Wind Peepers up and watch him go! He'll walk around while moving his eyes and glasses up and down and his shuffling walk is sure to put a smile on anyone's face! The film on his top even moves! 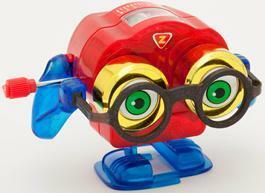 Z Wind Ups are collectable wind up toys that bring back the simplicity and innovation of more traditional toys. So why not add Peepers to your collection today? His bright colours and intricate detail is sure to impress! Special offer: When you purchase 4 or more Z Wind Ups in one transaction, you'll receive a bonus one for free (design chosen at random).